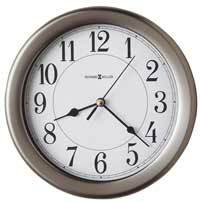 Howard Miller 625-323 Alton wall clock. Matte black case with shatter-resistant acrylic crystal. White dial and large, easy-to-read black Arabic numerals. 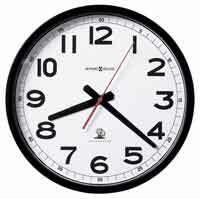 Auto Daylight-Savings movement automatically adjusts for Daylight Savings Time. 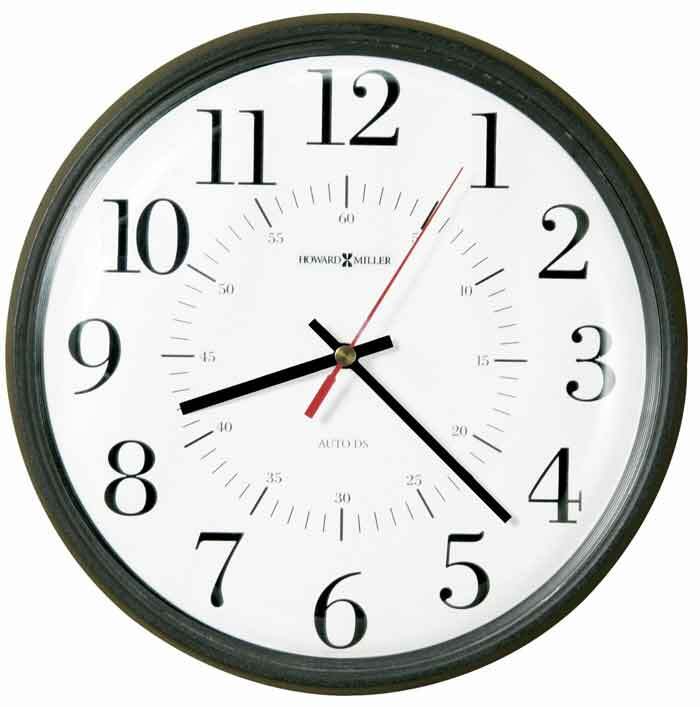 The hands of the clock follow an LCD display on the back of the clock and make corrections to keep the correct time including Daylight Saving Time corrections. The accurate auto-set movement is powered by one "AA" battery. Size: Dia. 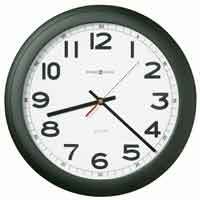 14", D. 2-1/2"
Clocks for sale at The Clock Depot including the 625-323 at discount prices.